Clinical drug trials provide a precisely-calibrated daily dose to participants: too little, and the trial data is useless; too much, and the patient is in danger. The Investigational Products group, part of Pharmaceutical and Analytical R&D function located at the AstraZeneca plant in Newark, DE, has a bottle-filling line that is utilized for the packaging of clinical trials. 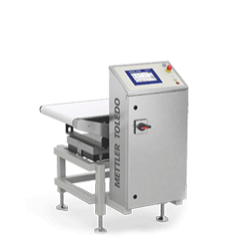 Prior to installing the METTLER TOLEDO Starweigh checkweighers, bottle count verification was performed by 100 percent visual inspection and by manually checkweighing in-process samples. This process required a high amount of resource and at times affected the efficiency of the bottle-filling operation. 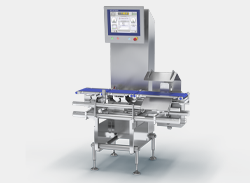 How are checkweighers used to obtain precise measurements? In order to obtain the required accuracy, the IPS group needed to weigh the bottles they were filling twice and very precisely. The first weigh would be of the empty bottle; this would establish the tare weighment of each bottle prior to filling. The bottles would be weighed a second time after filling to establish the gross weight of the bottle. 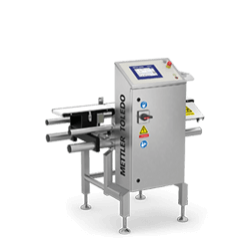 The two checkweighers communicated with each other so each bottle's tare weight would be deducted from the gross weight, thus eliminating any bottle weight variability in the final weight. 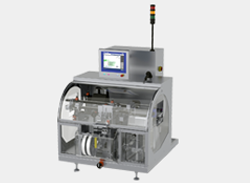 This allows precise measurement of the materials packaged inside the bottle. 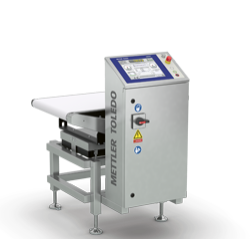 Can a METTLER TOLEDO checkweigher handle high speeds using minimal space? 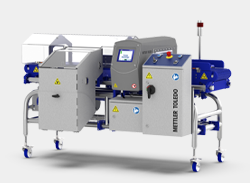 The filling line is capable of speeds of 45 to 50 bottles per minutes and the margin of error was less than a quarter of a gram per bottle. To make it even more challenging, space was an issue. One scale had to be located on a right angle turn and the second one had to be mounted in a small area prior to capping. 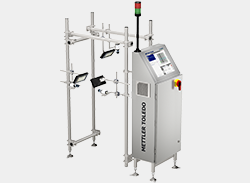 Senior Delivery Technologist David Flynn turned to METTLER TOLEDO Hi-Speed Checkweighing. To read the full case study, download the PDF at the link above!